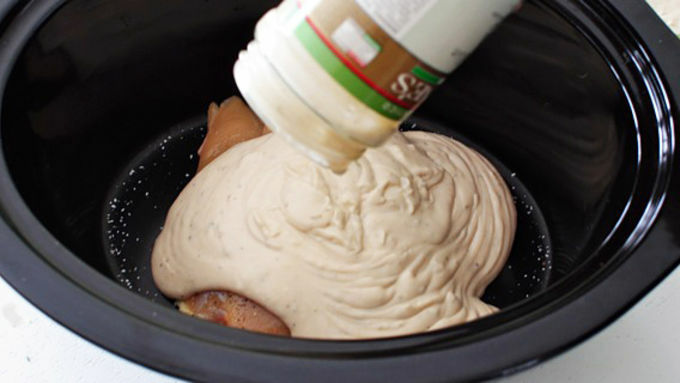 Place the chicken breasts in a slow cooker and season with salt and pepper. 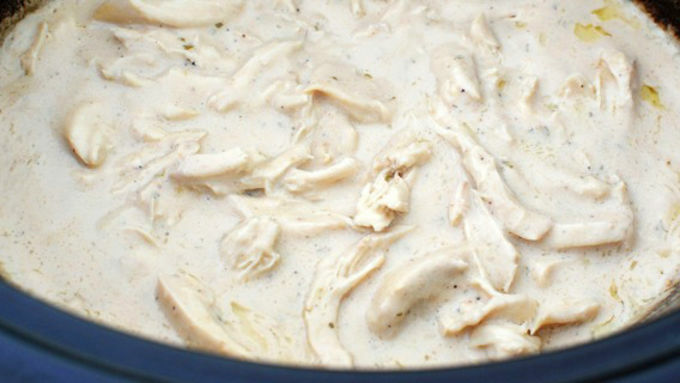 Pour the Alfredo sauce over the chicken and cook for 3 hours. 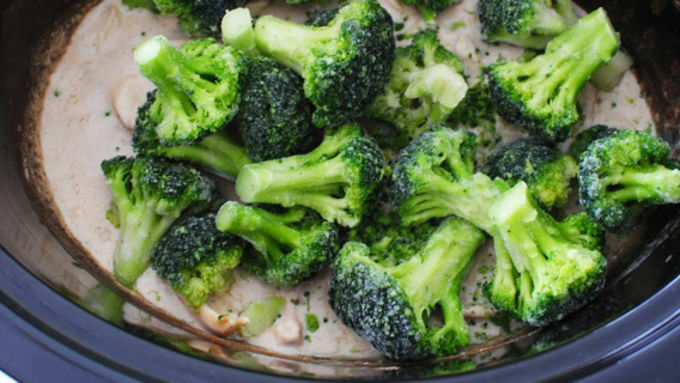 Add the frozen broccoli and cook another 30 to 45 minutes. Add the cooked pasta and toss to combine. 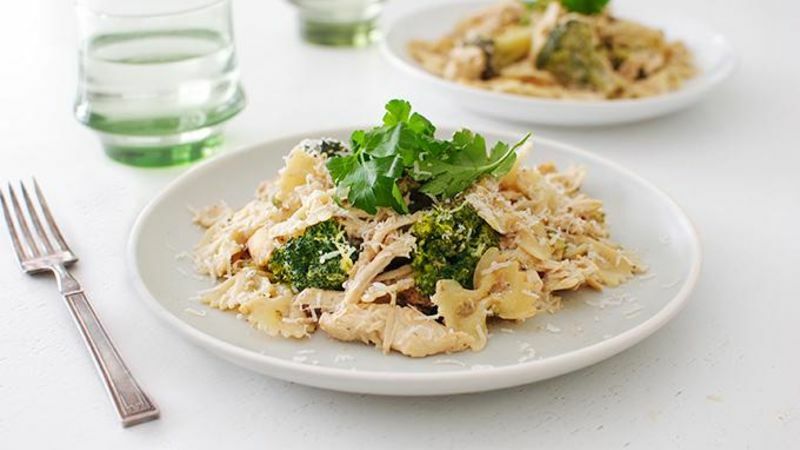 Serve immediately with parsley and Parmesan cheese. 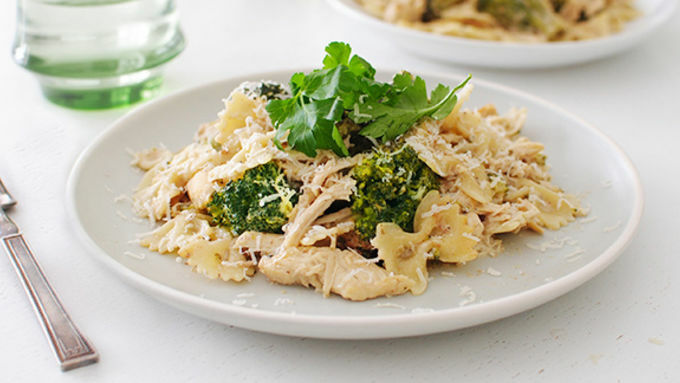 This Chicken Broccoli Alfredo makes itself in the slow cooker for an easy weeknight dinner win. Sometimes there's irony in a slow cooker. It cooks slowly, and takes all day, but also takes no time at all. On your part. You do very little, and the slow cooker carries the load. The load that lasts hours on end. Is your head hurting? I especially love that about this recipe in particular, because you do VERY little. And then the slow cooker carries the load. The load that lasts hours on end. Oh wait, I already said that. There are seriously only four main ingredients, but it tastes like there are four million. And you didn't do a thing! The slow cooker did. It carried the load. The load that lasted hours on end. Whoops, I keep saying that. And there you have it. Serve it with some freshly grated Parm and some parsley. Irony is delicious, don't you think?